In case you are coming with your own car, we will not be able to wait for you at the port as there is no free space for parking. You follow the other cars and in 150 m you exit from the port. After exiting from the port, you go straight (you do not turn right). After 100 m, you turn left (NO straight, right is prohibited) following the main road to airport, Megas Gialos and villages. After 300 m there is a roundabout. You take the third exit (TO AIRPORT, MEGAS GIALOS). You follow the main road for about 1400 m. Do not turn right on the next two big exits to your right(follow Megas Gialos). 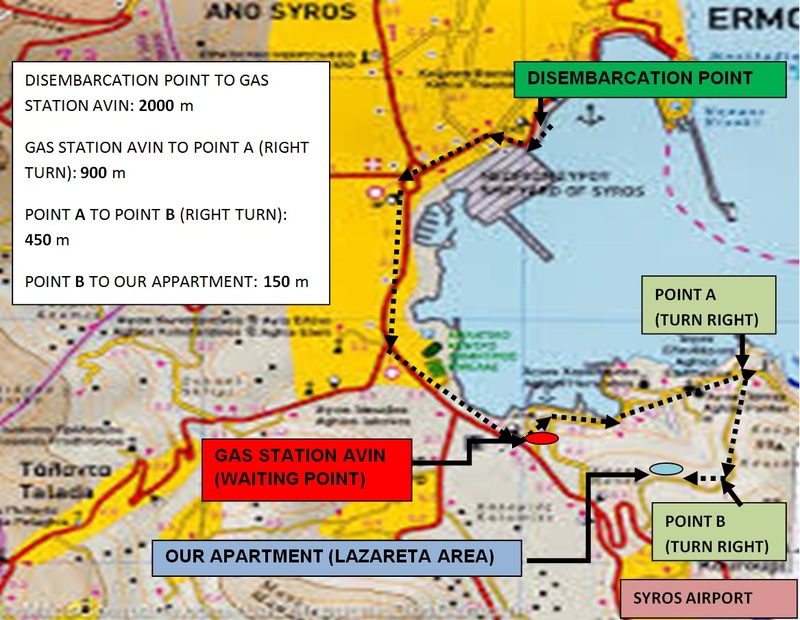 You will see us 1900 -2000 m after your exit from the ferry and in the left side of the main road, right in front of the gas station Avin. 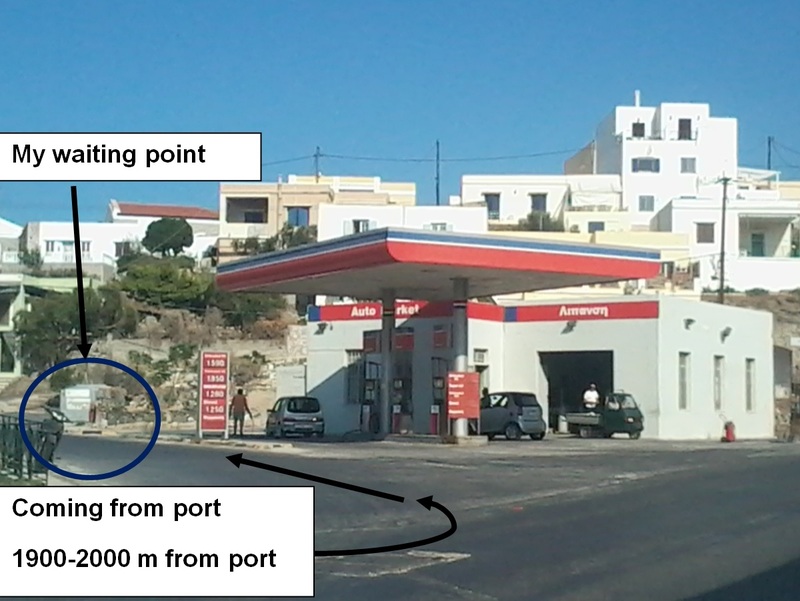 Syros air port is only less than 1km far from the villa. After exiting from the airport, you follow the route towards the town (it is the only existing road). In 400 m you turn right (steep big uphill) and in 200 m you will find the entrance of Villa Marenosta on your left hand. (Villa Marenosta is shown also on Google maps. Unfortunately, there are no street names in the area).